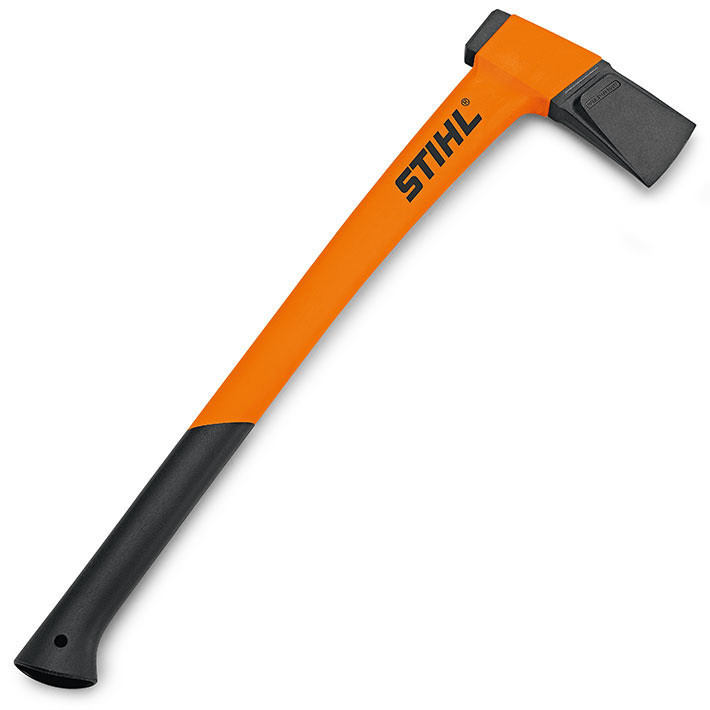 Splitting Axe with fiberglass-reinforced polyamide handle. Very light, robust, durable and weather-resistant. The ax head is made of coated steel C60 with excellent sliding properties and is inextricably linked to the stem. The surface of the lower handle portion is non-slip coating, providing a good grip on the job. The focus near the ax head ensures optimum weight distribution and strength when working. 75 cm, 1,950 g. Very suitable for average gap working, well suited for lighter to heavier work gap.